On September 10th, Microsoft released its fifth major release of the BizTalk Server. BizTalk Server 2006 R2 builds upon the Business Process Management and SOA/ESB capabilities in prior releases to help organizations extend core process management technologies even further with new capabilities like native support for Electronic Data Interchange (EDI), AS2 and RFID, and close alignment with the 2007 Microsoft Office system and Windows Vista, including key .NET Framework technologies such as Windows Workflow Foundation and Windows Communication Foundation. InfoQ talked to Steve Sloan, Senior Product Manager in the BizTalk Server team to get a better understanding of enhanced SOA capabilities. InfoQ: Could you tell us about the main theme of this release? Steve: “Extending the Connected Enterprise” is the theme for this release of BizTalk Server 2006 R2. The reality is that businesses need to connect systems regardless of vendor, age or protocol and extend business processes outside the organization, all with software that is enterprise class. R2 delivers proven, enterprise class software, with the ability to extend core business process both within and outside the enterprise. We added substantially enhanced our support for EDI. As well, we added RFID device management capabilities and a easier way to connect RFID data to the rest of the enterprise. To build on top of our platform capabilities, we added a WCF adapter which enhances support for the latest Web Services standards as well as alignment with Microsoft Office SharePoint Server. 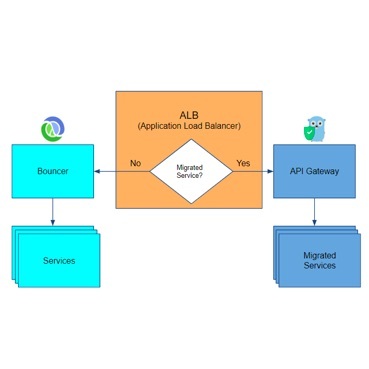 InfoQ: How is RFID used in a Service Oriented Architecture today? Steve: In the RFID world, one of the primary questions is how to connect RFID data to the people and systems that drive an organization. A challenge that we have faced historically is that RFID data were an island of their own. As an example, a device might tell you that a tag is at this particular location in a warehouse. To make use information this useful, the data must connect to a system, like an ERP system, or a person that can determine if that is good or bad, or if additional action needs to be taken. It might be that the tag is on a pallet that was supposed to be shipped two days ago and a new workflow to contact the customer or reroute the pallet must be kicked off. While this seems elementary, connecting devices and enterprise systems has been a big challenge in the adoption of RFID. With this release, we want to make it simple to connect to these devices and provide the data back to systems or people that can take action. A great example of this is CHEP, the largest pallet and container leasing company in the world. They have adopted BizTalk RFID in their distribution centers worldwide to more quickly and accurately track their assets. This company has 400 million assets tracked with RFID. The new process not only provides customers with more accurate billing information but also enables CHEP to have much more detailed real-time information concerning the location and condition of their assets. Worldwide, there are literally billions and billions of assets being tracked. With the BizTalk Server 2006 R2 and the broad set of hardware, software and solution partners we have assembled it will be much easier to deliver RFID solutions. As an example, one of our partners, Xterprise, a leading RFID solution vendor has standardized its product on our latest release of the BizTalk Server. InfoQ: How does this current release integrate with WCF (Windows Communication Foundation) and WF (Windows Workflow Foundation) which you launched almost a year ago? Steve: Windows Communication Foundation is a central part of our interoperability strategy. By making it much simpler for developers to use WCF alongside of BizTalk Server, we can make it easier to onramp services and take advantage of the WS* support in WCF. This means that WCF developers can take advantage of BizTalk Server capabilities such as the orchestration engine and the business rules engine to automate service routing. With Workflow Foundation and BizTalk we provide developers a choice for workflow. WF is embeddable and is commonly used to add workflow capabilities to existing solutions. The BizTalk Server orchestration engine is a robust orchestration engine designed to support enterprise class integration scenario. They serve slightly different needs and live side by side. Infoq: We have heard a lot about the new ESB guidance that Microsoft is releasing. What is the relationship with the BizTalk Server? Steve: We understand the complex and diverse technology environment of our customers. For SOA, there are a number of design patterns and topologies to choose from, depending on the scenario. One of those choices is an Enterprise Service Bus. We created the guidance to make it simpler to implement an ESB with Microsoft technologies. The Microsoft ESB Guidance provides architectural guidance, patterns, practices, and a set of BizTalk Server and .NET components to simplify the development of an ESB. This guidance is based on a number of successful ESB projects. We have taken the best practices learned in those projects and made them available to all of our customers. Microsoft wants customers to be able to extend their SOA capabilities, with the flexibility, scalability and interoperability that is right for their scenario. You can find more information about it at http://www.microsoft.com/biztalk/solutions/soa/esb.mspx. InfoQ: In this release, there is a strong emphasis on B2B and EDI in particular. This seems to confirm that B2B interchanges are not leveraging as much XML and Web Services as one would have hoped in 1999 and 2000. With a customer base of 7000 companies, could you give us your perspective on the question? Steve: The genesis of the BizTalk Server back in the spring of 1999 was the desire to make it B2B communications easier and more cost effective with the by taking advantage of XML. The assumption that many of us made at the time was that EDI, because of cost, was going to fade away in the short to medium term. We were wrong. The cost per transaction for EDI has come way down and many customers want to keep EDI in place because it works. Our goal with this release is to ensure that customers have a robust, proven B2B platform regardless of the technology they choose – EDI or XML. Of course, XML remains at the core of BizTalk Server and we plan to continue support industry standard message formats such as SWIFT or RosettaNet. InfoQ: How does the BizTalk Server relate to Microsoft’s SOA strategy? Steve: BizTalk Server is an anchor product in Microsoft’s strategy. Connectivity, whether it is connecting internal applications or those of trading partners, is the primary domain of SOA. We want make connecting processes, applications and services easier. The BizTalk Server provides customers with the capabilities to connect all the elements of their SOA. Part of that includes web services but it also includes existing systems like mainframes and mid-range computers. In certain industries these remain key components of our customers’ infrastructure. By including technologies like Host Integration Server we ensure that customers can bridge between new and existing technologies within their SOA. Typically, our customers establish a long term vision for their SOA, and we give them the capabilities to deliver on that vision today, to respond to their current needs with the infrastructure that they already have. Steve: In one month, we will host the 5th annual SOA and Business Process Conference. At that conference we will make some important announcements about the technology roadmap as it pertains to SOA and business process management. Stay tuned. An evaluation of the BizTalk Server 2006 R2 can be downloaded here.